Who are you and what is your origin? My name is Bas van Beurden, I am 24 years old and I come from Tilburg. I quickly realized that I have affinity with analyzing and numbers. After I graduated high school and subsequently succeeded bachelor Finance & Control at Avans University of Applied Sciences in Breda. This study included an internship and a graduation assignment. I thereafter completed the pre-master Accountancy and started this master, which I am currently following. I applied as a working student at Witlox VCS, because I wanted to use the available space within my master to gain relevant working experience. I have worked here for several months now as Assistant Accountant Audit. This allows me to use my new knowledge in practice directly. I work here one fixed day a week and sometimes more. The flexibility within Witlox VCS is pleasant, especially because I still have exams and deadlines as a student. My colleagues really take this into account. Why have you chosen Witlox VCS? 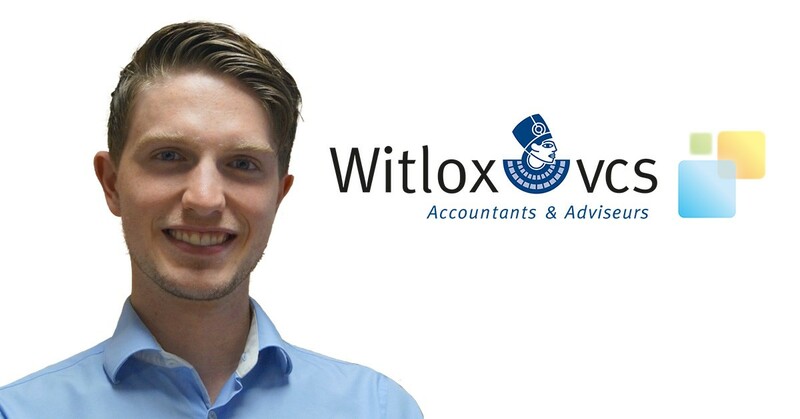 Witlox VCS is an accounting and advisory office, specialized in accountancy, tax, law and organisational matters for small and medium sized enterprises. Witlox has offices in Breda and Etten-Leur. I heard great stories about this firm from friends, teachers and other students about the good, informal atmosphere, the flexibility, the accessibility. Moreover, the focus on SME interests me. This offers the opportunity to work on many different disciplines of accounting, something the Big4 don’t. This was decisive for me. What is your function at Witlox VCS and what does your team and the organisation look like? Witlox VCS aims to take an extra step and think along with clients actively. This is achieved by understanding the specific needs of a unique client first and acting like a discussion partner thereafter. The team mostly consists of young, ambitious registered accountants, account managers and students that focus on audit. How does working benefit your personal development? Witlox VCS highly prioritizes the development of the team and individuals. My direct colleagues take a lot of time to coordinate my work and my development. Together with the management, they watch my interests closely, so that I can determine my own path largely. Moreover, there are developing plans at team level with joint goals. This creates a feeling of solidarity and responsibility towards each other and it improves the bond with colleagues. Furthermore, I have to opportunity to attend advisory consultations about the determination of tangibility or risk for example. Witlox VCS offers additional education too, such as the post master Registered Accountant, which is a great career opportunity! How would you describe your experience at Witlox VCS so far? I was involved in interesting projects from the very beginning. This responsibility was exciting in the beginning. I had lots of questions but luckily I was surrounded by experienced colleagues who were really willing to put their effort in me. From explaining how things work, to making me understand why it is done this way and why it is important. These are the small things that make me feel comfortable at Witlox VCS. Soon enough I created an image of the discipline and auditing in particular. The connections within the company are close. This allows us to communicate easily and be up to date of each other at all times. Witlox VCS also organises events to get familiar with your colleagues at an informal setting. This benefits the ambiance and the collaboration obviously! Do you have any tips for students? Find out where your interests are and what makes you happy. Talk with people about their experiences, such as employers, employees and students in a specific sector. Many employers offer open-ended conversations. What I like most about accountancy is the variety of firms I visit. Every single one has its unique challenges. This diversity fascinates me, because it allows me to create a broad view on business. Do you want to get more information about your possibilities at Witlox VCS? 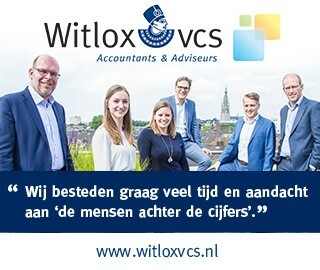 Take a look on our website (www.witloxvcs.nl/werkenbij) or contact Loes Vinkenborg or Nicole Tromp. Also don’t hesitate to ask me questions via LinkedIn or if you spot me at Tilburg University! In this edition of “Working At..” Paul de Kort tells all about his experiences as Assurance Associate at PwC! Investing without risk, is it possible and how does it work? Rob Donkers explains it with an interesting strategy in his column! What does a boar year at Asset | Accounting & Finance look like? In this article Stijn van de Laar tells about his role as Chairman! What does a board year at Asset | Accounting & Finance look like? In this article Luc van den Hurk tells about his role as External Affairs!